What Is the Best Fish Oil to Buy - Know the Facts? What Is the Best Fish Oil to Buy – Know the Facts? I think most people realize the importance of including fish in their diets, and particularly oily fish such as salmon; tuna; mackerel; sardines and etc. Not only is fish an excellent source of protein, but it is also a rich source of many different vitamins and minerals. Fish is also the world’s best source of omega 3 essential fatty oils. Omega 3 is ESSENTIAL for good health, hence the reason why they are universally known as Omega 3 Essential Fatty Oils. Eat plenty of oily fish like those mentioned above, and you will get all the Omega 3 your body needs. However, most of us have very little desire to eat fish every single day of our lives. As a result, millions of people have started taking fish oil supplements. There are scores of people out there who, in my opinion, are really confused with regard to the whole Omega 3 issue. 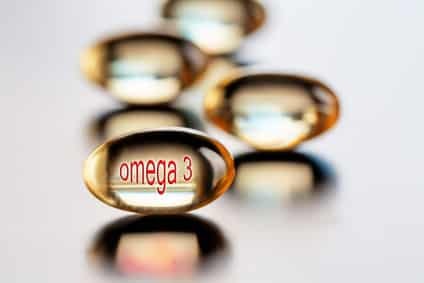 Many people truly believe that their Omega 3 requirements can be met simply by taking fish oil supplements every day. Supplement manufacturers are largely to blame for this, thanks to the way in which they advertize their products. The concept of supplements being to substitute the real thing is nothing but a myth. No matter how concentrated or how pure fish oil supplements are, they will never be able to compete with the real fatty oils found in fish. Nonetheless supplements can certainly help to ensure you are getting sufficient omega 3. Let’s just say, supplements can help you to tip the scales in your favor. Just because a particular supplement is expensive, that doesn’t necessarily mean that it is the best fish oil to buy. I wouldn’t feel comfortable taking the cheapest supplements I can find, but neither would I want to pay more than I have to. What many people also don’t realize is the fact that many of the different brands found on sites like Amazon are all produced by just a handful of different manufacturers. A lot of the sellers on Amazon and other similar sites order their fish oil supplements from the same manufacturers, and then they sell them under their own brand names. I am not saying that these are all poor quality supplements, but if one of the large manufacturers is producing poor quality supplements, then there is a strong possibility that many online sellers are all selling those same low quality supplements. The problem I have with these types of supplements is that there is no real way you can find out anything much about the manufacturers because you don’t know who the actual manufacturers are. When it comes to buying health supplements that I am going to be taking on a daily basis, I like to do a bit of research first. I want to find out as much as I can about the manufacturer; about their facilities, their experience; their reputation and etc. Before I move on, I should also point out that even many well known brand names outsource manufacturing. This, as I have already said, essentially means that regardless of what they say, they have no real control over the quality of the supplements they are selling. My advice to you is: buy your supplements from a company that has their own FDA approved manufacturing facility. These days a person would need to be very naive to believe that all the world’s oceans are clean and free of harmful contaminants. However, certain areas are significantly less polluted than others. I certainly wouldn’t want to take supplements knowing that the oil comes from fish that are being taken from heavily polluted areas. Yes I know processing can remove a lot of contaminants, but I would rather not have to worry about that in the first place. Besides, processing also destroys a lot of the natural goodness found in fish oil. Fish oil can turn rancid within a relatively short period of time. In order to avoid this and the losses that would result, many manufactures rely on the use of additives, some of which are also used to mask unpleasant odors. One relatively common additive that springs to mind is hexane. I am not going to go into this right now, but I will tell you that hexane is BAD for you, and mankind has known about this for 40 years or more. If you don’t believe me, then Google it and check it out for yourself. Do yourself a favor, and stick to supplements that are totally free of additives.